clay and limestone: Fall is the best time to bee in the garden! Fall is the best time to bee in the garden! 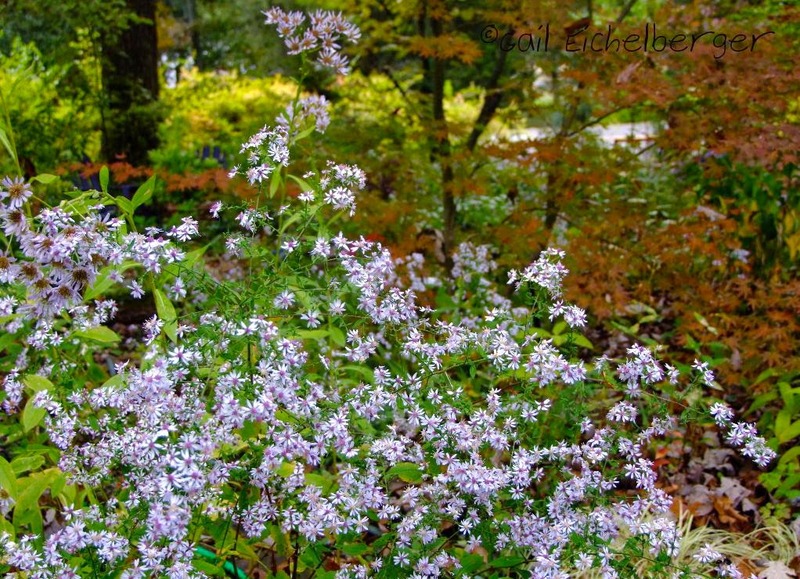 Sunday was the best day so far this fall for the gardener, the bees and the little asters to play and dance together. 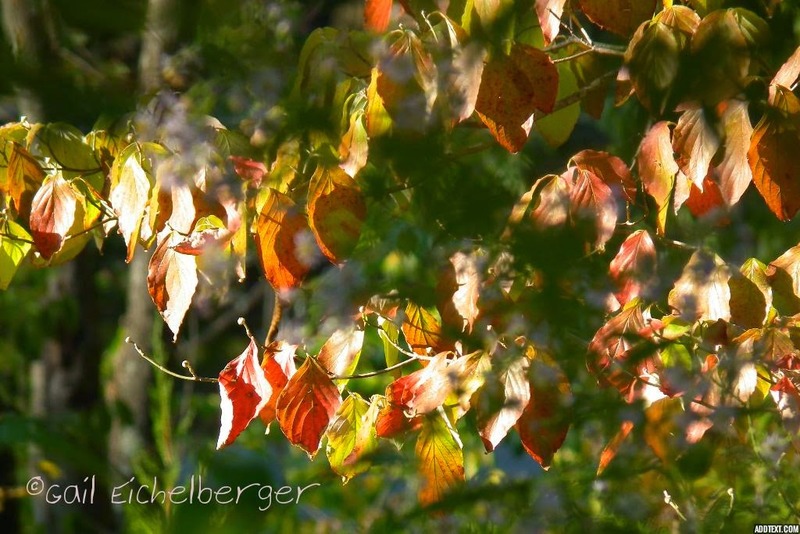 It was a wonderful October day with sunshine and a warm breeze. The soil was still damp from the deluge the week before and the shrubs and trees were just beginning to wear their fall colors. The little asters were dancing in the breeze while Bumblebees flew from flower to flower. I snapped hundreds of photos but, only a few were in focus. They refused to pose for me, they were caught up in their mad dash to collect pollen and nectar to supply their nests before the cold weather arrives. But, the ex-asters (Symphyotrichums and Eurybias) were blooming their pretty flower heads off and they were the perfect subject! If you are new to Clay and Limestone you might not know that the little asters were the first wildflowers I met at Clay and Limestone in mid October 28 years ago. Back then the yard was a weedy mess of non-native lawn grasses and native sedges and Danthonia (I had yet to discover). On the edges among the forsythia and bush honeysuckles were blue and lilac flowers that arched over the lawn and seemed to be covered with bumble bees and honeybees. They were dancing in the autumn breeze. They completely captured my heart, so, I built my garden for those flowers and the bees. I move them around, I scatter seeds, I let the wind carry the fluffy seeds wherever it takes them and I add new species that make sense for this garden. By September Symphyotrichum shortii, S cordifolium, Eurybia divaricata, S lateriflorum and S ericoides var. ericoides, S novae-angliae, S praealtum~Miss Bessie, S oblongifolius, S patens and S priceae have begun to bloom. They've spilled onto the paths, they've crept into the wildflower beds and cozied up to the chairs and benches all over Clay and Limestone creating a dancing blue cloud and a buffet for pollinators. It's a lovely sight and you're welcome to stop by. These photos are stunning, Gail!! The bumble were too cold to fly yesterday. It was interesting that three were cuddled up under a thistle bloom. None wanted to budge. 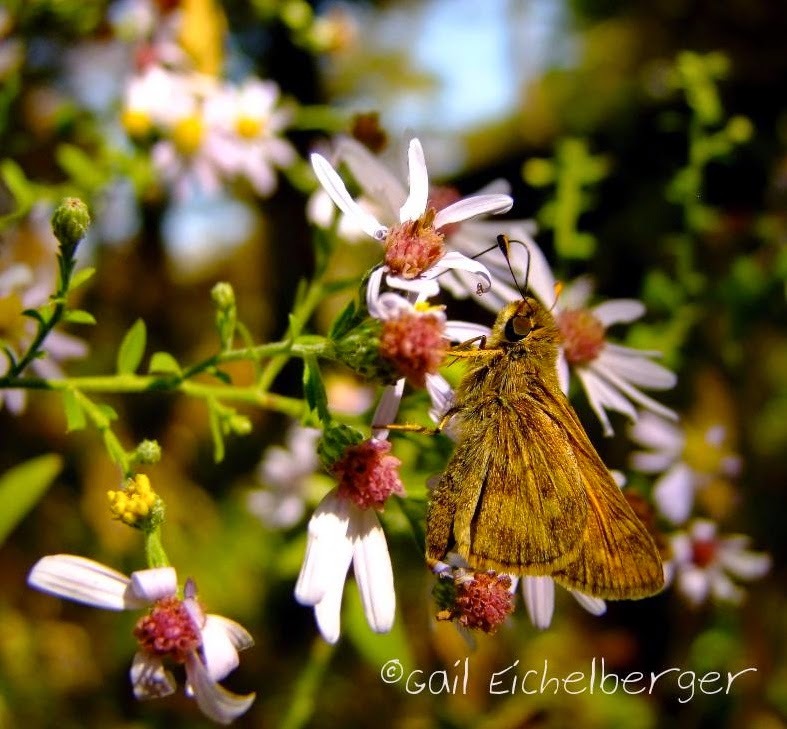 Gorgeous photos--I also have enjoyed watching our bees (and butterflies) in the gardens this fall. Very pretty photos. Fall is my favorite time of the year. Beautiful photographs Gail, your garden must both look wonderful and be a wonderful place for late Bees in the Autumn. I love your close-ups of the bees, Gail. The bumble in the first photo looks so furry I'd like to reach out and pet him. I haven't noticed as many bees around here lately--I think the damp weather last week may have encouraged them to start nesting. But when all the asters were in bloom, they certainly were busy! 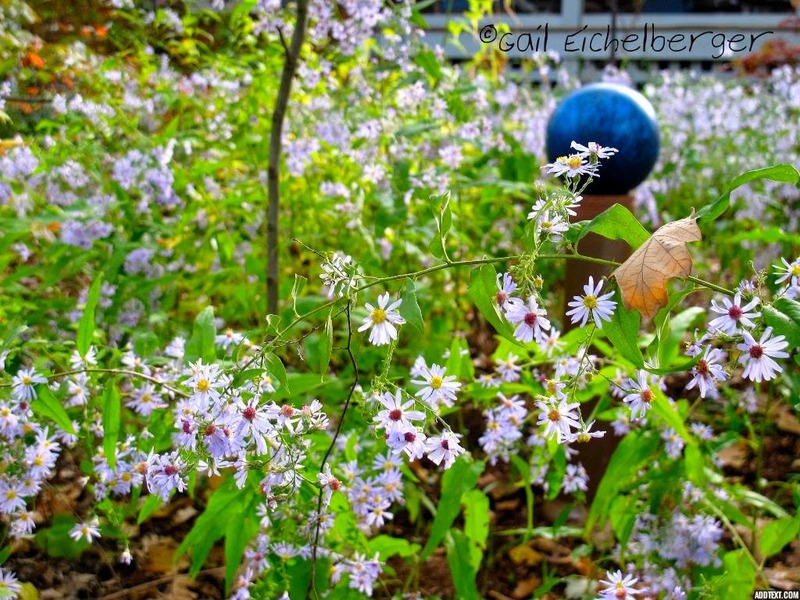 Aster blooms are such a great sight when so many other flowers are past their prime, too. The bunnies have been eating several of my asters, but they have still managed to bloom. It is impressive how many bees can fit on just one little aster! We're enjoying a spell of good weather, and the bees, butterflies, wasps, flies, ladybugs and every other kind of insect has been out enjoying the last of my flowers. How it warms my heart!